When one mentions Qi Ji, my instant thought goes to their signature Popiah and Nasi Lemak that are some of the best in town for when the craving hits. 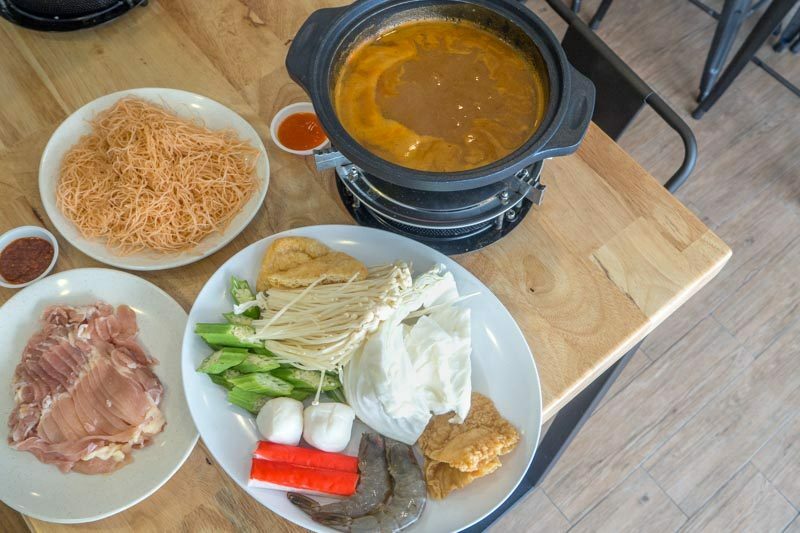 New to the menu, however – and currently only available at Jalan Besar and Kovan – Qi Ji has introduced a novel interpretation of the classic hotpot, with what they call Qpot. 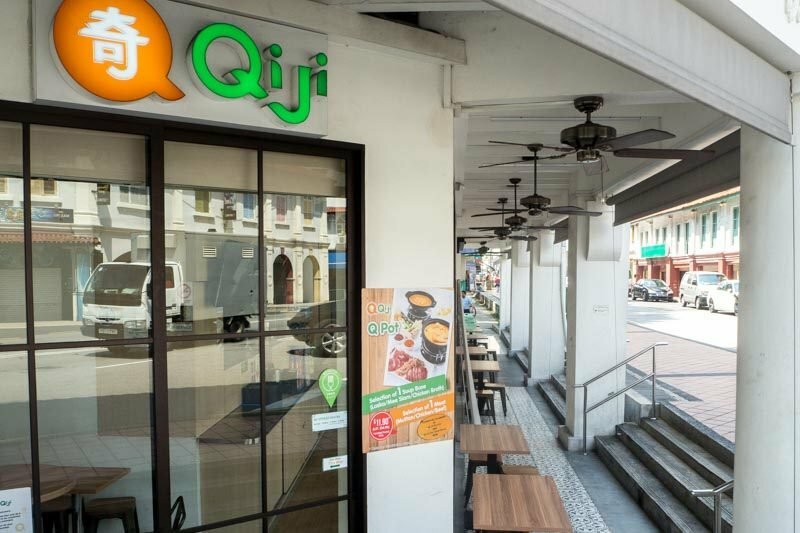 Having been around for 20 years, and MUIS-certified, it’s little surprise that the Jalan Besar outlet is Qi Ji’s flagship branch. Boasting plenty of natural light, this branch also has a facade that looks out to the bustling streets that wind through the area. So what is Qpot? 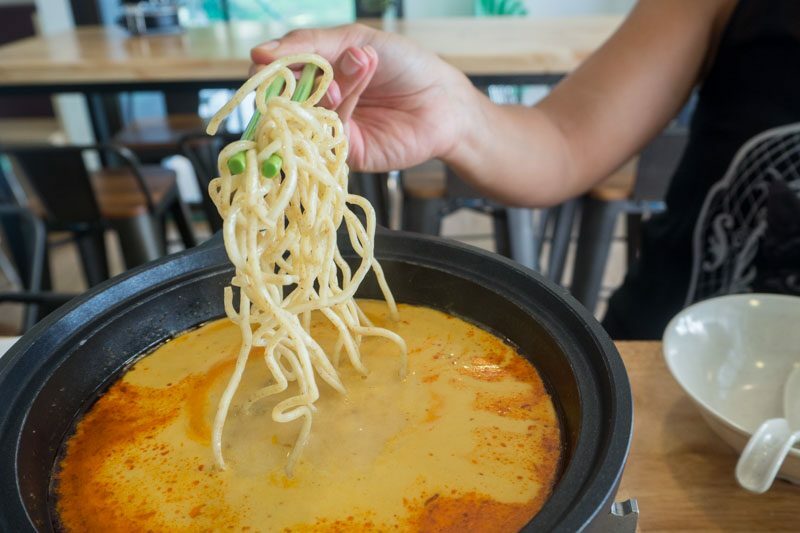 It is a steaming medium-sized pot of their signature Mee Siam and Laksa broths presented with a protein option of chicken or beef, and a generous plate of assorted vegetables. For those who prefer lighter soups, there is also a delicate chicken broth available. 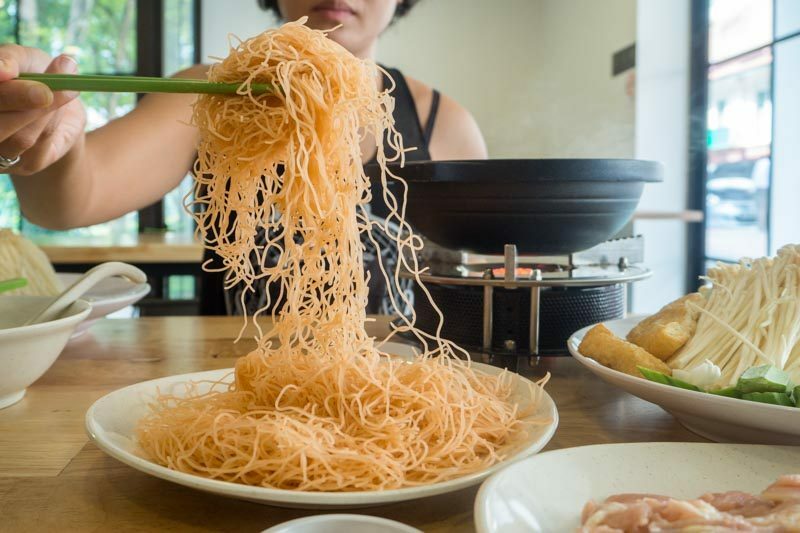 Diners can choose from three types of noodles – wholemeal yellow noodles, wholemeal noodles and brown rice vermicelli noodles. 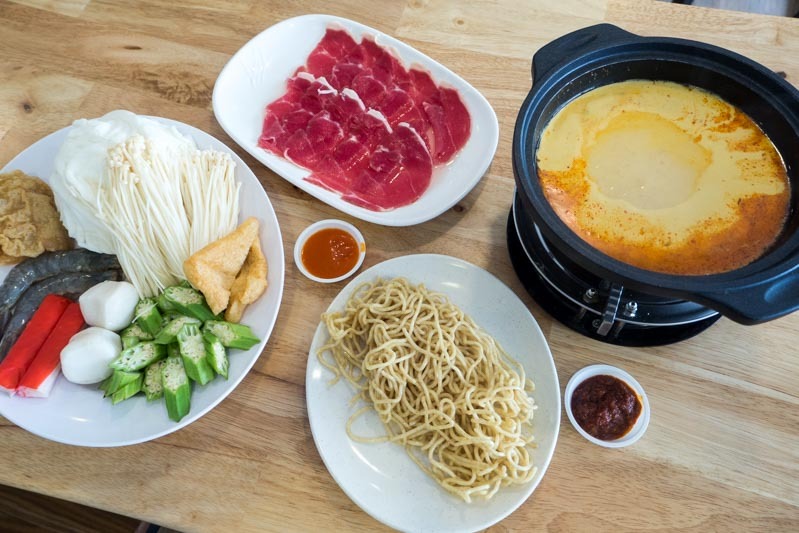 A single serving is great for sharing – or for solo consumption if you’re in the mood for a mini feast– especially since broths are refillable upon request. 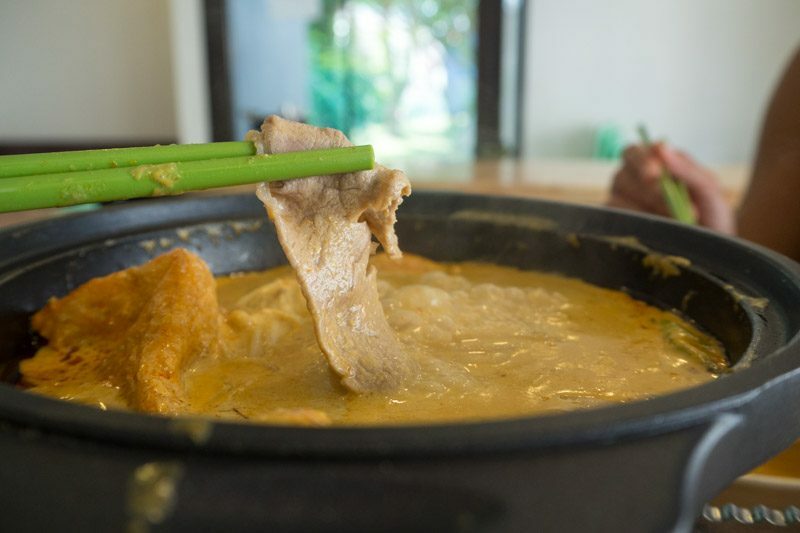 The Laksa broth is specially made, in that the recipe’s slightly adjusted to contain less coconut milk for those wanting to watch their diet, but fortunately doesn’t compromise on taste. When we gave this a slurp, we found it to be robust and thick, without being too heavy. One bite into the wholemeal noodles, and you’ll wonder why you never considered consuming more wholemeal noodles before. They are springier, less dense than their all-starch counterparts, and healthier for you! As for our meat fix, we went with very thinly sliced beef to go with the Laksa broth, which is an unlikely but heavenly pairing. The flavours hit us right away, and lingered long enough before we inevitably fed ourselves with another helping. As for the Mee Siam broth, we went on a whim and decided on brown rice vermicelli and chicken. 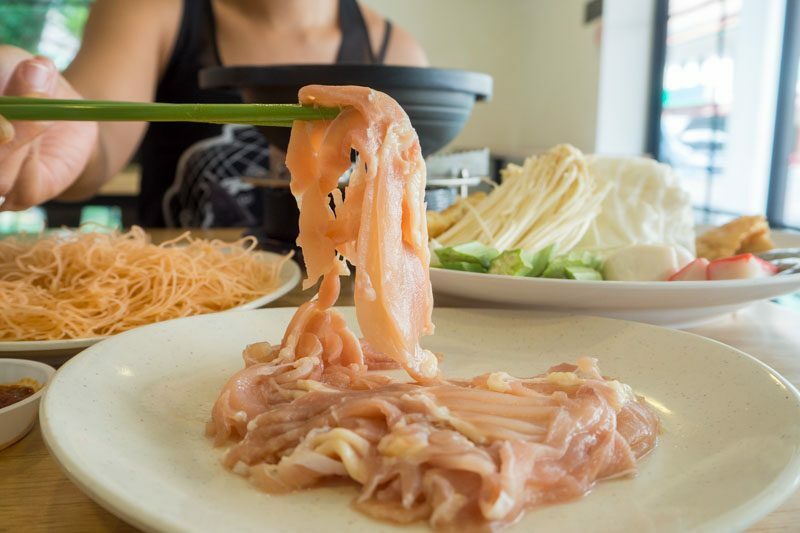 Now you’re probably thinking, “Who has ever thought to pair Mee Siam with chicken?”, right? Well, the verdict is that it is something we’ll have no hesitations saying “yes” to in the future. 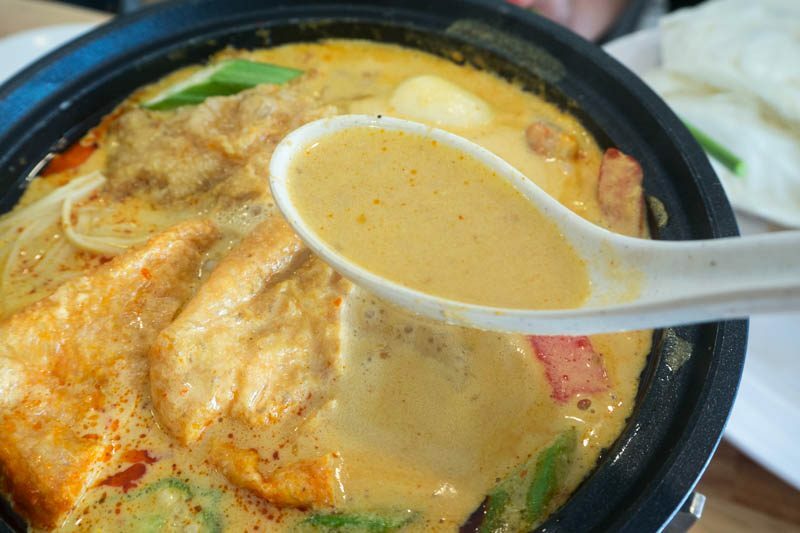 As the chicken boils in the Mee Siam broth, it absorbs all the sweet and sour goodness. 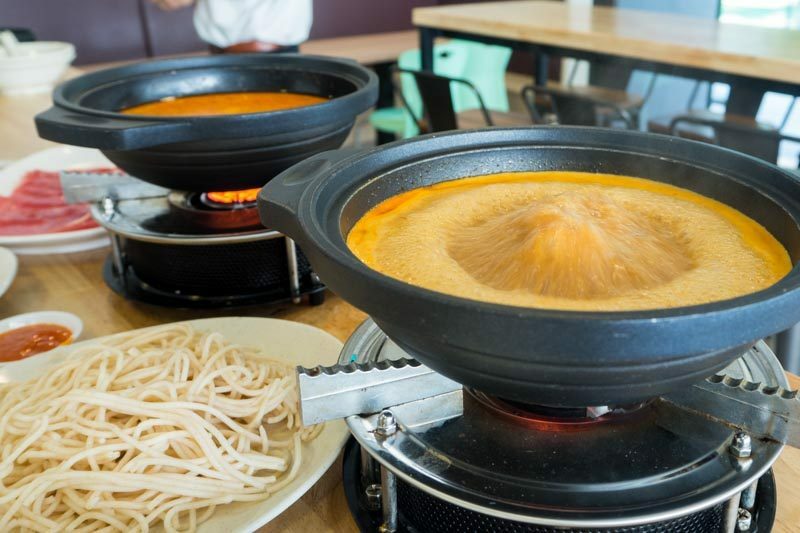 If you enjoy a tangy and mildly spicy broth, we highly recommend going for this one. The best part? To celebrate the launch of this new menu offering, Qpot is only going to set you back by $11.90 (usual price is $14.90)! While you’re satiating your hunger, why not complement your meal with their Popiah (Prawn/Chicken) ($2.80) or Popiah (Premium) ($3.90)? Oh, and don’t forget their homemade drinks like Barley/Chrysanthemum ($1.70), Bandung ($1.90) and Lime Juice ($1.90)! 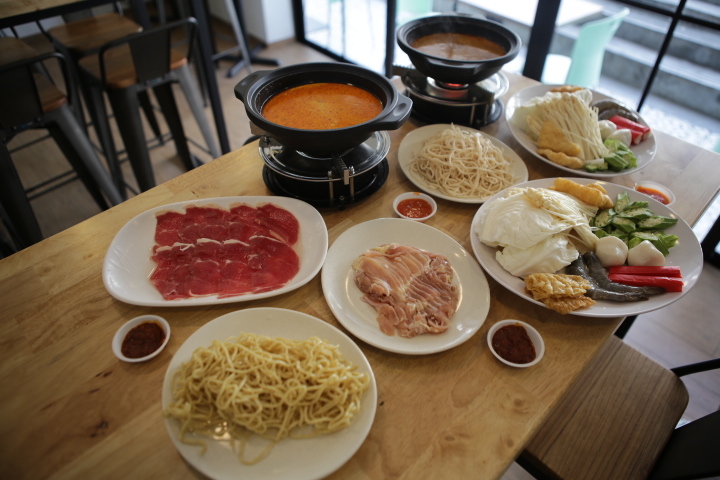 Located only a 5-minute walk away from Jalan Besar MRT station, you’ll find a new way to enjoy your hotpot at Qi Ji and undoubtedly enjoy their new Qpot for dinner with friends and family. BONUS: Keep a look out for a Facebook and Instagram Qpot giveaway from us really soon! An enthusiastic food writer who is mildly obsessed with working out, as well as on a relentless hunt for the elusive cure for wanderlust. Want To Save More Than $920 On Dining Out?